Support the arts as you enjoy delicious wine samplings from regional area vintners. This event includes a silent auction, wine grab event, savory food and live entertainment. 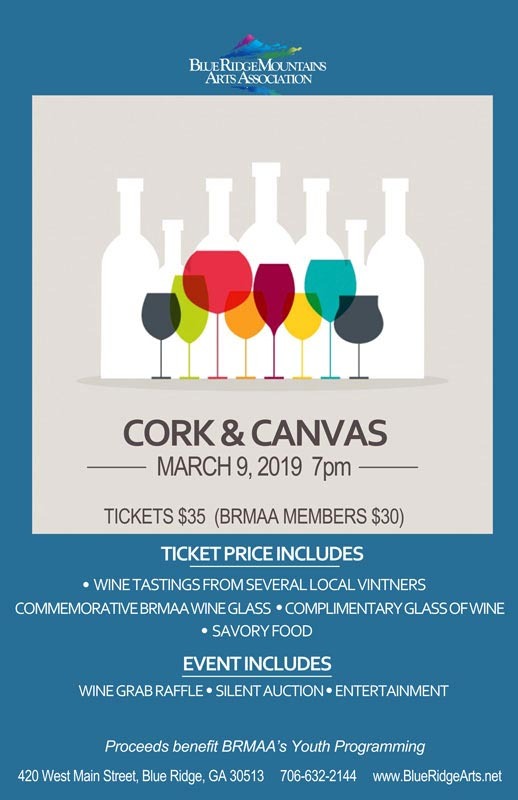 Ticket prices are $35 for non-members, $30 for BRMAA members, and include a commemorative BRMAA wine glass and complimentary glass of wine with each event ticket. Proceeds benefit BRMAA youth programming and scholarships.